After posting about the custom closet that we had installed back in January, I received several inquiries about my jewelry wall and many questions about I bought my wall mount organizers. Honestly, last month Bryan surprised me with them when I came home from California. After prying a bit, Bryan told me where he purchased these unusual and entirely practical jewelry wall mount organizers - ebay, of course! And that they were only $19.50/each. Below are the best priced options I found. Mine have silver hooks and hold 3 rows worth of jewelry. 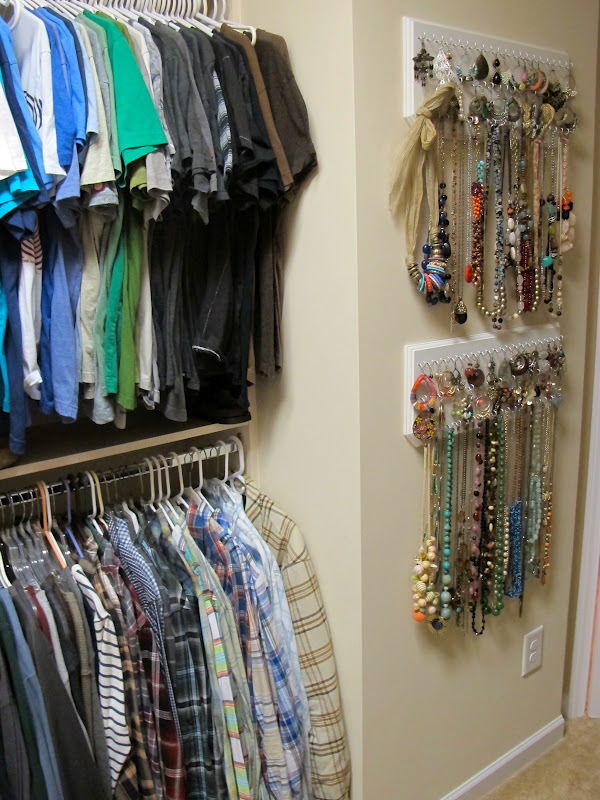 When hanging long necklaces, 2 organizers take up the entire length of a wall, so make sure you have a tall or wide free wall before you purchase 2 of them. 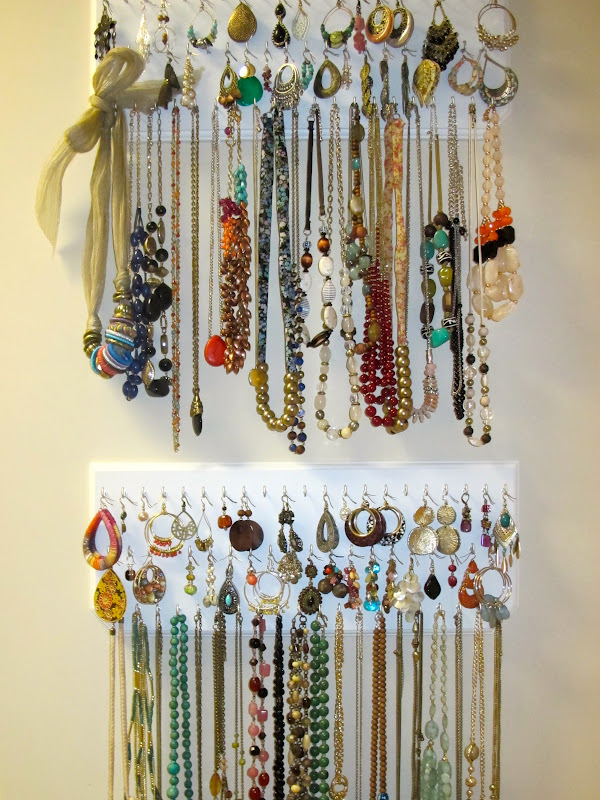 For more options, go to ebay and search "wall mount jewelry organizer." Ooooo I like the jewelry hanging. I would probably wear mine more if I had it all out in the open like that. He's got great taste, that man! Gotta love a guy who shops for you. i am an organizing freak ... why have i not done something like this yet? Um I'd be the happiest girl if I had that much jewelry! Love how you organized it all! I am sooooo doing this! Love! very cute idea and i love that your hubby bought them too! 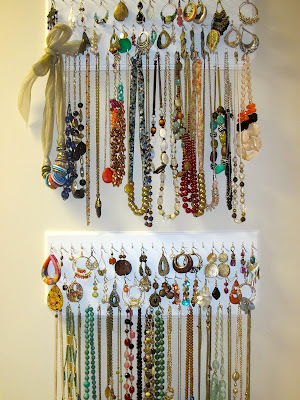 What a great way to display all of your jewelry! Love! Those are so cute! And they fit on that wall space nicely!! I need to look for these! I have SO many necklaces that I put on a tie rack in my closet but there are now 3 necklaces per slot. I always forget to check out ebay!